Cold Callers - Selby District. North Yorkshire Police have been notified by the BRITISH HEART FOUNDATION that they will be conducting house to house for charity fundraising activites in Selby District from the 2nd January 2017 to 29th January 2017. They have been notified of the "NO COLD CALLING ZONES", if you have any concerns the BHF can be contacted on 0207 4243905 or 0800 0319811. 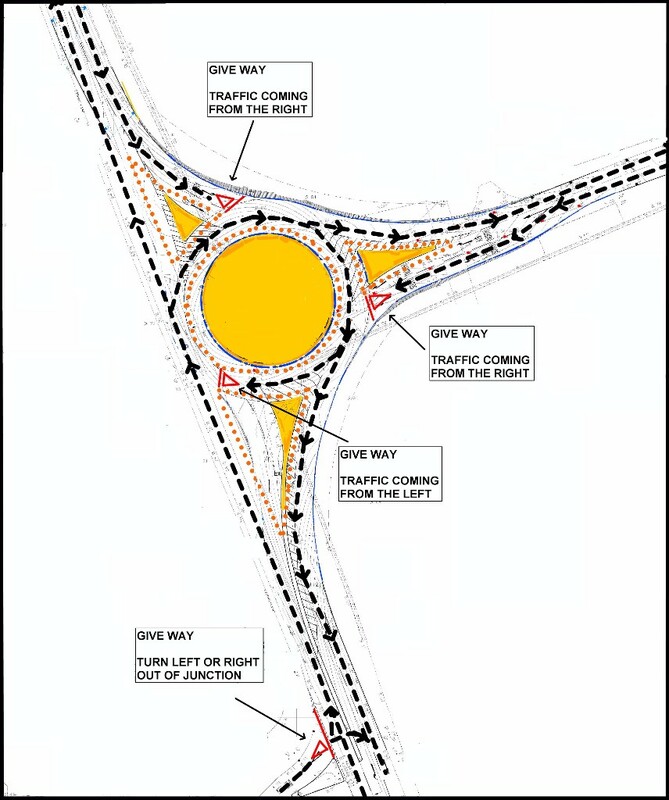 This is the ninth edition of the newsletter that will keep you up to date with the progress of the roundabout construction on the existing A19/A163 Market Weighton Road junction and also changes to the existing York Road junction. After our Christmas closure the next few weeks will see big changes in the vicinity of the new roundabout. The kerbing works are now substantially complete. The street lights to the east of the A19 have been erected and are operational. The YW water main diversion works are also complete. Next week we will be surfacing the new sections of the road. It will take approximately 4 days although this may change as we cannot lay surfacing material if the temperatures drop too much. 3 way traffic lights will be in operation during the usual hours 9.30am to 3.30pm to enable the surfacing machines and surfacing deliveries to access the areas safely. After the new areas of the road are surfaced we need to direct the traffic around the newly formed roundabout to enable us to complete the remaining works. If all goes to plan the traffic management cones and signs will be changed to reflect this on the evening of Sunday 15th January. The roads will all remain open during this change over period. The route around the roundabout will be clearly signposted. Please note that from this point ALL traffic coming out of the York Road Junction will be directed LEFT. Traffic from York Road wanting to travel south towards Selby need to drive around the roundabout first, before continuing south down the A19. After this date traffic lights will be used periodically when required to ensure the safety of our workers where they have to work immediately alongside the A19. We again apologize for the delays that some of you will be experiencing. Whilst there are no public footpaths adjacent to the works we acknowledge that construction sites can be attractive places for children. Please be assured that all hazardous areas of works will be securely fenced at all times to ensure the safety of the public. Our compound will be entirely fenced off with gates allowing access to site personnel and deliveries of plant and materials only.